It was in May 1967 that Rev. Isher Johore and his family first moved to the city of Oxford, renowned for its world famous university. His Holiness Baba Gurbachan Ji had blessed Isher Ji and his family to spread this mission in a city where great academics had acquired so much knowledge yet the knowledge of truthful living had been unknown to them. His Holiness Baba Gurbachan Ji first visited the city in August 1967 and inspired others to join a brotherhood filled with love and humility. Soon after, congregations began to take place in houses as the gathering discussed and sang the praises of God Almighty. 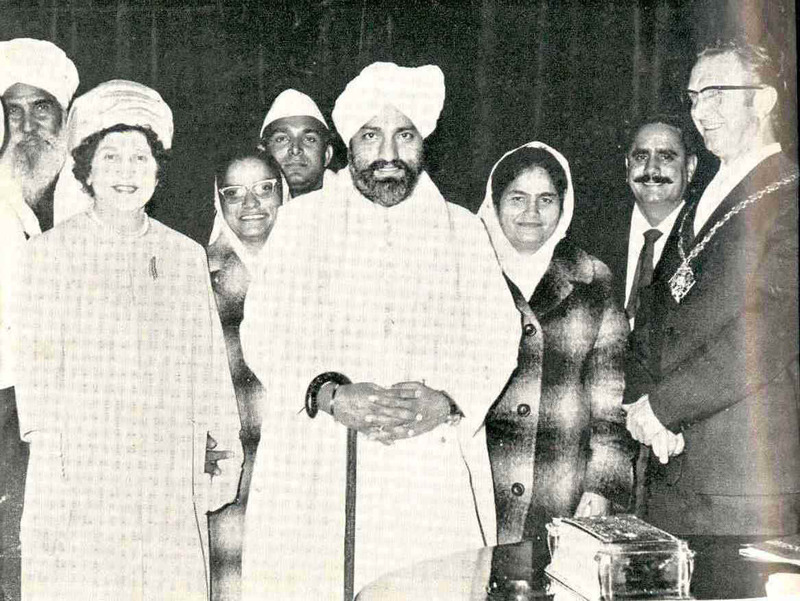 His Holiness Baba Gurbachan Ji and entourage with the Lady and Lord Mayor of Oxford on the 17th of July 1971. As the congregation grew further, the main hall of Lake Street Community Centre became the hired destination of the followers on a weekly basis. However, it was in 1987 that His Holiness Baba Hardev Ji blessed this gathering when a former Baptist Church was to become the first official Bhawan of Oxford. Since then, several extensions and refurbishments have been made consistently improving the Bhawan and regular gatherings have continued with Saints expressing themselves in Hindi, Punjabi and English. Privileged visits from His Holiness Baba Hardev Ji, Pujya Mata Ji and Raj Mata Ji have continued throughout the years as this brotherhood of love continues to grow. The Oxford Congregation now has about 150 members who visit this Bhawan and reside from Oxford, Thame, Aylesbury, Wantage and Banbury.